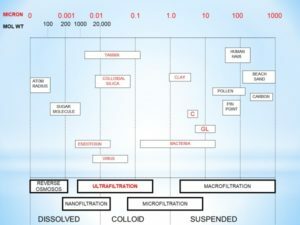 Ultrafiltration (UF) is a membrane filtration process, similar to Reverse Osmosis, where hydro-static pressure forces water against a semi-permeable membrane. Suspended solids and solutes of high molecular weight are retained by the membrane, while water and low molecular weight solutes pass through the membrane in the permeate. The membrane is a multi-layer thin selective barrier with a 0.02 micron pore size that is capable of removing all total suspended solids. Ultra filtration is an effective tool for removing total suspended solids like sediment, tannin, microplastics, bacteria and viruses. Master Water's UltraPro filters out a variety of organics and suspended particles using the finest membrane technology available to provide superior water that is clean and clear, without the use of chemicals. Master Water Conditioning Ultrafilters have a unique design that use hollow fiber membranes. Thousands of hollow fiber membranes (lumens) are spiraled together in bundles inside a closed housing that is held in place in a potting. Our UltraPro10 contains 5.5 miles of hollow fiber membranes. Feed water passes into the tank and forced against the hollow fiber membrane bundles, filtering it and passing out of the tank as potable water. The system back washes and cleans by reversing the direction of flow to inside-out. Applications for ultrafiltration include emergency or disaster response situations as well as providing potable drinking water in remote or developing regions across the globe. 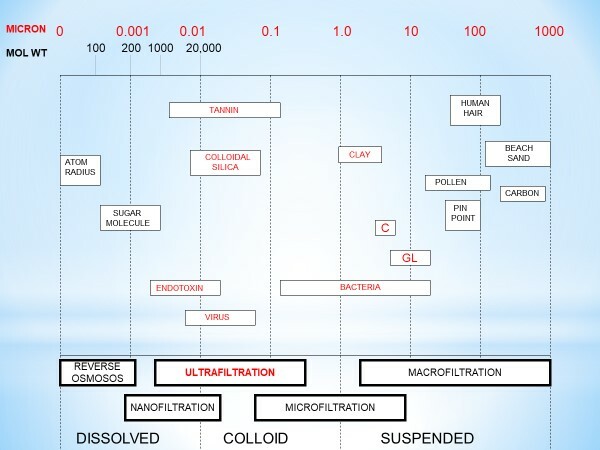 Ultrafiltration is an important tool with many applications, however it has its limitations. Ultrafiltration always requires some form of pretreatment to prevent membrane fouling and loading. 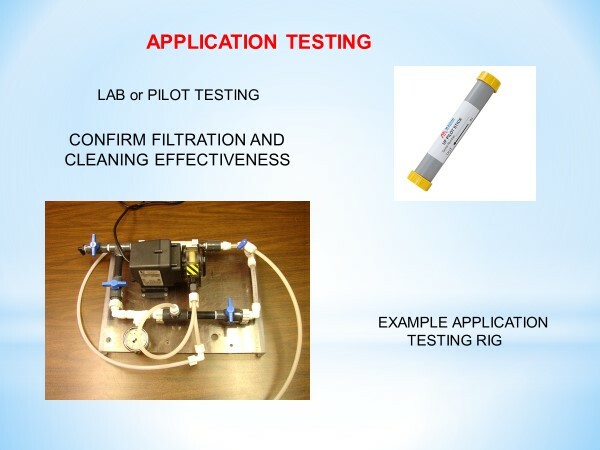 Determining initial water parameters and characteristics is always important before installing a system. Master Water provides free pilot testing at our facility and sell easy-to-use UltraPro Pilot Stick for dealers and installers in the field. Maximizing transmembrane pressure, maintaining membrane integrity, properly disinfecting or cleaning the membrane and monitoring pressure and flow are factors that need to be considered for any application. Pilot testing is necessary for tannin applications because of the molecular weight range of tannins. Ultrafiltration should never be applied for applications without a pre-filter or where oil and grease are present. Click the link for more information on the UltraPro Pilot Stick.